Some of you color-crazed ladies didn’t need the #ComfortZoneChallenge to be bold & bright. 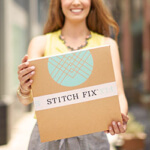 From cheery prints to pops of berry pink to falling completely into autumnal hues like mustard and teal green, here’s a roundup of some of the most vibrant #StitchFix & @StitchFix Instagram finds courtesy of you over the past year. Do you dare to wear color in 2016? What are you ready to try? Tell us in the comments below!